A safe and natural fragrance-free washing powder, made using pure coconut oil soap, natural minerals and water softeners, for a wash that’s tough on stains but gentle on delicate skin. Free from detergents, dyes, fillers, perfumes, phosphates, optical brighteners, enzymes and petroleum-based ingredients. Safe for septic tanks. 100% paper packaging which is fully recyclable and fully compostable. Vegan and Palm Oil free. 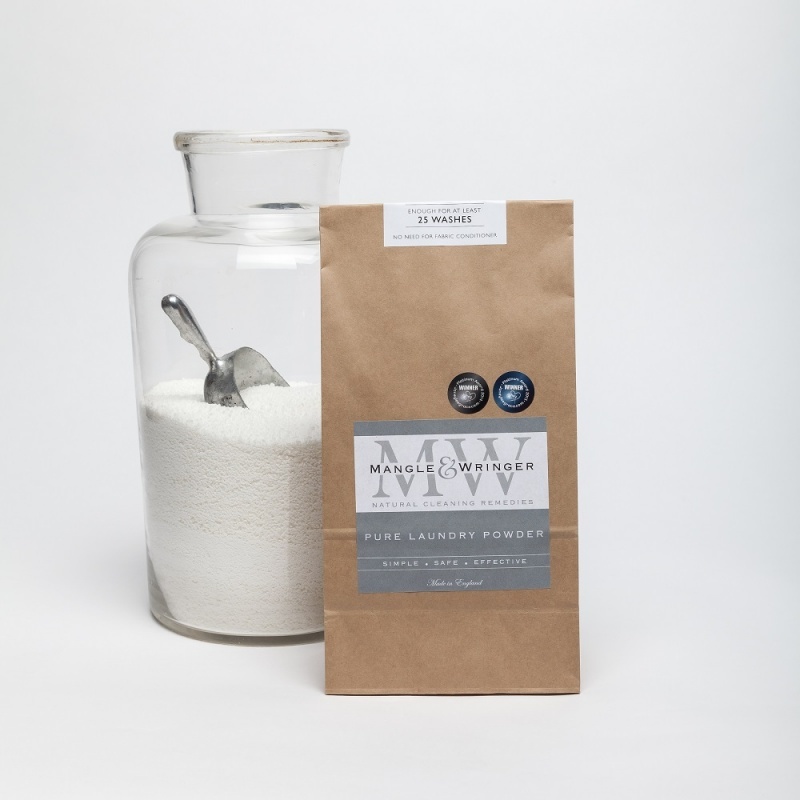 This natural laundry powder is a multi-award-winning best seller. Made with just 100% coconut oil soap, natural minerals and water softeners, it is tough on stains but very gentle on delicate skin. This 100% natural formula is free from synthetic detergents, phosphates, optical brighteners, enzymes, fragrances and preservatives. It is the perfect alternative to biological and non-biological products that can irritate sensitive skin. Use between one and two scoops depending on water hardness.